Welcome to Bluegrass Farmers' Market, the only farmers market in Lexington, Kentucky providing 100% locally grown products. What sets us apart from other markets in the region is the fact that we don't import our produce from far-away places, so our vegetables and fruit are usually picked the day before you buy them. All of our vendors are members of the Kentucky Proud program, offering a wide assortment of vegetables, flowers, herbs, and fruit, not to mention farm-fresh eggs, grass fed beef, lamb, goat, free-range chicken, rabbit, local honey, jams, soaps, rubs, and bedding plants. 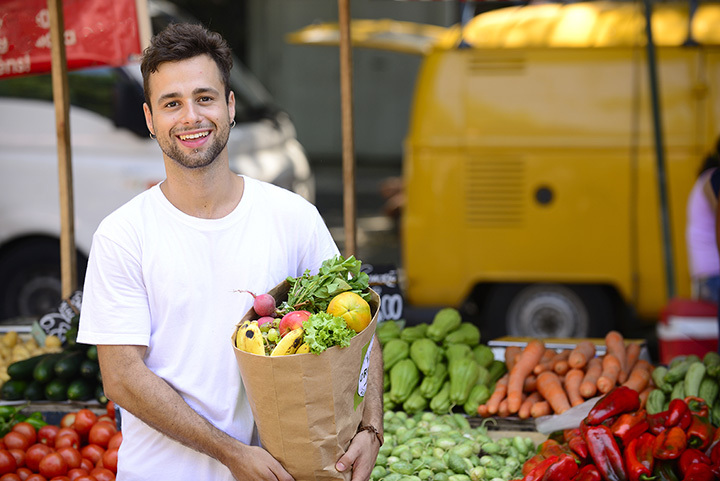 Shopping at Bluegrass Farmers' Market guarantees that you'll find excellent quality products and help the environment at the same time by reducing your carbon footprint.